British Citizen Passport Holders will be required to obtain a travel visa before entering Cambodia. 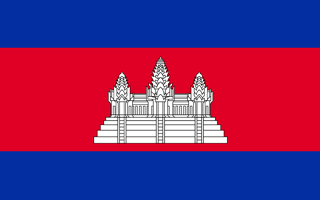 Please note that the granting of any Cambodian Visa is dependent upon consular discretion. Express services are available upon request. The standard processing time is up to 10 working days. You can get a visa on arrival at most ports of entry. Payment is in $US only. Bring 2 passport photos. A tourist ‘T-class’ visa costs US $30 for 1 month and can be extended for only 1 extra month. Visa fees are subject to change. You can get a visa on arrival at most ports of entry. Payment is in $US only. Bring 2 passport photos. An ‘E-class’ business visa costs US $35 for 1 month and can be renewed indefinitely on an annual basis. Costs for annual business visas (‘E-ex’) are subject to change.